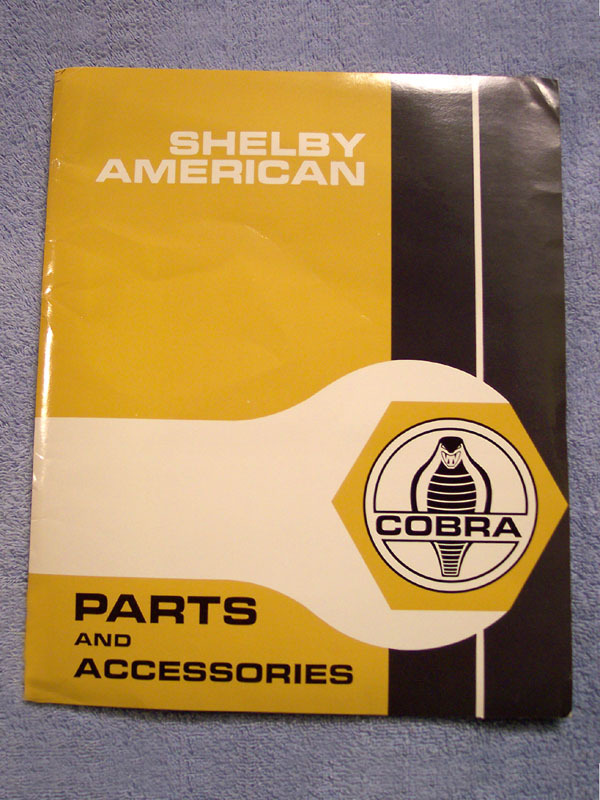 Early 1966 Shelby American Parts Catalog. 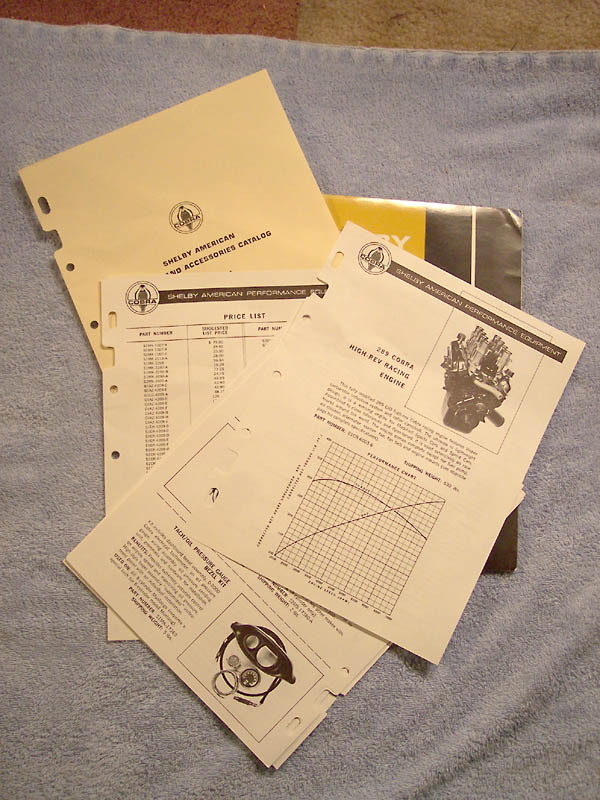 This booklet provided photos and descriptions of parts for the1965 & 1966 street and R-model GT350s as well as parts for the Cobras. A price list was also included. Virtually every part for the GT350 is listed in this booklet. The top image shows some of the pages inside the handbook.